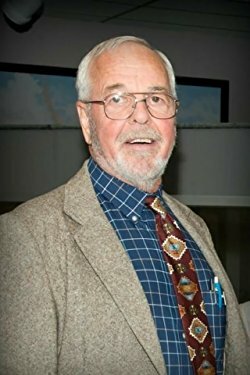 Richard McMurry is a respected historian, humorist, author and lecturer in Civil War circles. Richard is a native of Atlanta, Georgia, a graduate of Virginia Military Institute, and received a Ph. D. in history from Emory University under Bell Wiley and taught at Valdosta College and North Carolina State University. 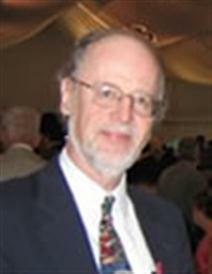 He is the author of numerous books and articles on the Civil War, one of which was awarded the Laney Prize, including Two Great Rebel Armies: An Essay in Confederate Military History; John Bell Hood and the War for Southern Independence; The Fourth Battle of Winchester: Toward a New Civil War Paradigm; and Atlanta 1864: Last Chance for the Confederacy. Newspapers may be an endangered species in modern United States, but in the mid-nineteenth century they played an important role in the lives of most Americans. The decade of the 1850s had marked what has been called "the golden age of American Journalism," and much of that trend carried over into the Civil War years of the 1860s. Between December 1860 and the late spring of 1865 an estimated 1,200 different newspapers were published in the Confederacy. Some of these lasted through the war; others ceased publication during the conflict. Some never recovered after the war; some are still publishing. During the war all of them faced many difficulties including the loss of workers into military service; shortages of paper and ink; worn-out type and presses; and the wraith of invading Yankee troops. Some papers spent much of the war fleeing the advancing enemy and publishing in different towns. So often did the Memphis Appeal change its location that it became known as the "moving Appeal." Texas boasted eighty-nine papers in 1860--including the Corsicana Navarro Express--and added more during the conflict. The Texas papers, as a general rule, suffered less than did those in other states owing to those locations far removed from the conflict. Through it all , however, the Confederate press soldiered on, keeping the people more-or-less informed and (mostly) supporting the Rebel cause. The story of journalism and journalists in the Confederacy is a little-known but fascinating part of the South's struggle for independence. Louis Hébert, unlike the creole general P. G. T. Beauregard, was a descendent of the diaspora of French speaking farmers. Hébert’s grandfather acquired land in Iberville Parish and became a successful sugarcane planter. At the outbreak of the Civil War, Louis Hébert raised and was elected colonel of the Third Louisiana Infantry, made up of companies from all parts of the state, including the “Pelican Rifles,” the first company to be raised in Baton Rouge. The regiment served with great distinction at the battles of Wilson’s Creek, Missouri, and Pea Ridge, Arkansas, winning for its colonel a promotion to brigadier general. Hébert’s brigade was transferred east of the Mississippi River with Maj. Gen. Earl Van Dorn’s Army of the West, and took part in the battles of Iuka and Corinth. Its greatest service, however, came in its defense of Vicksburg in the spring and summer of 1863, where it first held the Yazoo River line against William T. Sherman’s army corps and then, in the final stages of the siege, garrisoning the famed Louisiana Redan in the center of the Confederate line. The Cutrers have buried at Spring Creek, Louisiana, since 1804, whence we fled at the end of the War of the American Revolution. (We were Tories.) Both my mother’s and father’s paternal grandfathers as well as three great-great uncles served in Company B, Sixteen Louisiana Infantry, CSA. I earned the B.A. in history at LSU in 1969, served for three years in the US Air Force (including a tour as a combat intelligence officer in Viet Nam), took an M.A. in American literature at LSU in 1972 and a Ph.D. in American Civilization at the University of Texas in 1980. I was, for two years, a curator of history at the University of texas Institute of Texan Cultures in San Antonio and, for eight years, associate director of the Texas State Historical Association and managing editor of the Handbook of Texas. In 2012, when my wife was appointed President of Texas A&M University—Texarkana, I retired after a twenty-two year tenure as a professor of history and American studies at Arizona State University. My main fields of interest are the cultural history of the American South and nineteenth-century U. S. military history, especially the American Civil War. My books include Parnassus on the Mississippi: The Southern Review and the Baton Rouge Literary Community, 1935-1942 (LSU Press, 1984), which won the General L. Kemper Williams Prize of the Louisiana Historical Society and the Louisiana Literary Award of the Louisiana Library Association; Ben McCulloch and the Frontier Military Tradition (University of North Carolina Press, 1992), which won the Summerfield G. Roberts Award of the Sons of the Republic of Texas; Longstreet’s Aide: The Civil War Letters of Maj. Thomas J. Goree (University Press of Virginia, 1994); with T. Michael Parrish, Brothers in Gray: The Civil War Letters of the Pierson Family (LSU Press, 1997), and Oh, What a Loansome Time I Had: The Civil War Letters of Major William Moxley and Emily Moxley (Tuscaloosa: University of Alabama Press, 2000); “Our Trust is in the God of Battles”: The Civil War letters of Robert F. Bunting, Chaplain, Eighth Texas Cavalry (Knoxville: University of Tennessee Press, 2006); and The Mexican War Papers of George B. McClellan (Louisiana State University Press, 2009). Empire of Sand, my book on the 1862 Texan invasion of New Mexico Territory, will be published in October, and two other books, one on the 1863 Red River campaign and the other on the Civil War in the trans-Mississippi West, are under contract with the Texas A&M University Press and the University of North Carolina Press. Danny Sessums Ph.D.:"Yeah, and a heck of a git you got!" Though perhaps not an especially compelling image overall of "Texians" in that era, nevertheless the words of an escapee from Port Hudson reveal their determination to fight the enemy "Pelican" State. Whether along the banks of the mighty Mississippi during '63, or in the Red River Campaign of '64, the contributions of those from the "Lone Star" state are worthy of our study; especially in light of how much of society has evinced a decidedly anti-Confederate bias that fly's in the face of those of us wanting to retain the "right" to learn all we can of our ancestor's sacrifices. Danny Sessums received an undergraduate degree in Anthropology at Texas Tech University, then returned to graduate school at U.T. Arlington in 1981-4 for U.S. History, then L.S.U. in 1983-87 for Antebellum History. His career includes museum work, plus teaching U.S. History & Museums at the following: Port Hudson Commemorative Area, 1983-86; Old Fort Museum & Western-Arkansas Community College, 1986-90; Museum of the Gulf Coast & Asst. Professor, Lamar University-Port Arthur, 1990-98. Other positions in his career include Associate Professor, Arkansas State University, 1998-2001; Director, George Ranch Historical Park, Houston, 2001-02; Director, Museum of the Gulf Coast/Houston Baptist University, 2002-09. After his retirement, he relocated to the Tyler, Texas area, and worked as Interim Director at the Historic Aviation Memorial Museum (HAAM), 2009-11. In 2017, he published A Force To Be Reckoned With (A History of Granbury's Texas Infantry Brigade 1861-65), Volume I which is a culmination of his research begun for his doctoral dissertation at L.S.U. and continued for 30 years. After the Union capture of Vicksburg and Port Hudson in 1863, unconventional war continued to rage for control of the vital economic Lafourche district lying west of New Orleans and the Mississippi River. Confederate partisan bands raiding out of the Atchafalaya basin interrupted Union efforts at peaceful occupation and pre-reconstruction. The results were a virtual guerrilla war of the swamps that tested the mettle of civilians and combatants alike. Dr. Stephen Michot is Professor of History and Director of Criminal Justice at Nicholls State University holding a Ph.D. is from Mississippi State University. Over the past 40 years, he has served in law enforcement & security, the military with a tour of duty in Iraq, and in education. His publications include Lafourche Country II; Lafourche Country III; “Friction in War: The Effects of Climate, Disease, and Morale at the Battle of Labadieville”; “The African-American Experience in Louisiana’s Lafourche Region during the Civil War”; “In Relief of Port Hudson Richard Taylor’s 1863 Lafourche Offensive”; and “War is Still Raging in this Part of the Country: Oath-taking, Conscription, and Guerrilla War in Louisiana’s Lafourche Region.” Dr. Michot has served on the boards of the Louisiana Historical Association, the Historic New Orleans Collection, the Young-Sanders Center, YMCA, Faculty Senate, and University of Louisiana Systems Board of Supervisors Academic Affairs Committee and Faculty Advisory Council.